Stick Magazine Holder. 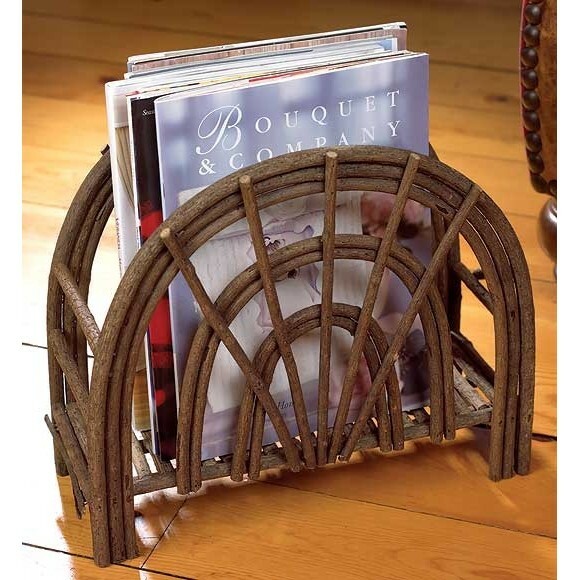 Clean up clutter with this unique handcrafted magazine rack. Ample space for all your favorite reading material. 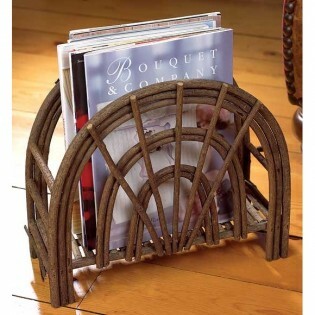 This rustic magazine rack is made of natural, sturdy, curved branches.